"I encourage all the skaters to skate as much as possible and to try free jumping!" 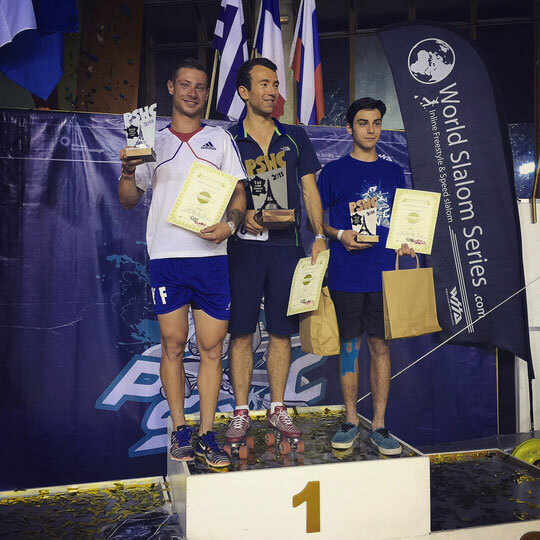 Here is the interview of Alexandre Fantuz (Fra), Men’s Free Jump World #3 after his victory of the PSWC2015! P.S. You improved your result from last year when you reached the 4th place and got the victory this time! Was it harder to compete this year? A.F. 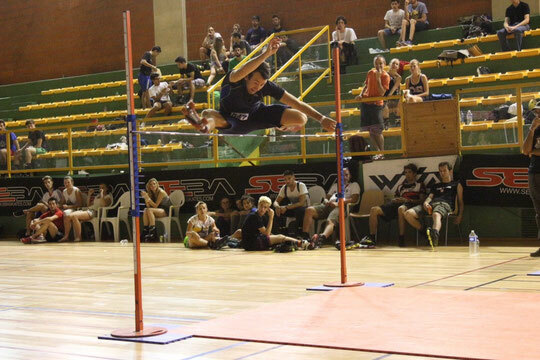 The PSWC in 2014 was my first competition and I was not very used to jump over a solid bar, since I've only been using flagging tape before. So I don't think it was harder to compete this time, actually I've been training quite often with a solid bar this past year and I did many competitions as well so I felt better prepared than a year ago. To be honest I was very proud and happy to beat my best mark and jumped 1m43, but the fact that Thomas Rataud (world n1) was injured also made it a bit easier to win this year. I wish him to recover promptly. P.S. How did you feel climbing on the first step of the podium? A.F. I was extremely happy and proud and it felt like a great achievement since I beat my record and have been training very hard this past year. P.S. How did you like the PSWC 2015? A.F. It's great, there are always a lot of skaters from all over the world (Argentina, Russia, Spain, Italy...), and you get the opportunity to meet and to talk with many different people. The atmosphere is always very relaxed but still every skater is willing to give his/her best at the same time. I really enjoy this competition, it feels more like a big gathering of the best skaters than a competition actually. I hope it continues that way. P.S. How long have you been skating? A.F. I've been skating since I was 2 years old and I started to jump when I was 10 years old. At the beginning my friends and me built a small jumping pit with wood sticks. Then I started to jump in the best spots in Paris: Notre Dame and Palais Royal. P.S. What do you think about the new Free Jump World Ranking? Will it motivate skaters to train and compete more? A.F. I think you, the WSSA, the FIRS, SEBA have been doing an amazing job in introducing the free jump at the PSWC last year, during the World Cup in October 2014 and several competitions. 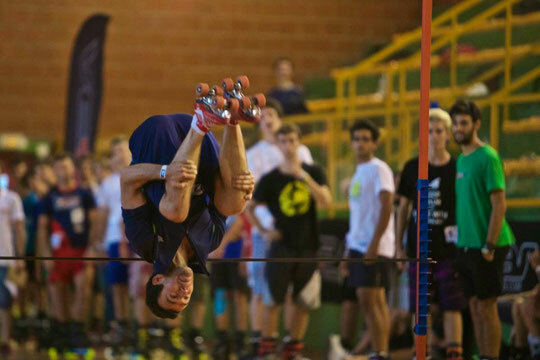 The World Ranking is also a great tool to motivate skaters and create some emulation. All those efforts are giving more awareness to the discipline and I hope that little by little it will motivate new skaters to jump, train and compete. I've also noticed that there is very few videos of free jump on the Internet compared to slalom, and it's a very powerful and cheap media to bring more awareness to a sport. So it's up to us, skaters and sponsors as well, to shoot some nice free jump videos. If there are some talented skaters with a "camera" reading this interview, do not hesitate to contact me I'd be happy to help and participate. A.F. I'm going to be a father in December so it could mean less time for rollerskating, but I will definitely give my best to manage my schedules in order to do as much competitions as last year. I can already tell you that I will be at the World Championships in Torino next October. P.S. Do you have a last word for this interview? A.F. My best wishes to the skaters and thanks! I encourage all the skaters to skate as much as possible and to try free jumping! I also want to congratulate all the competitors and thank the organization, the federations, the sponsors, SEBA for the great competitions they're organizing all over the world.